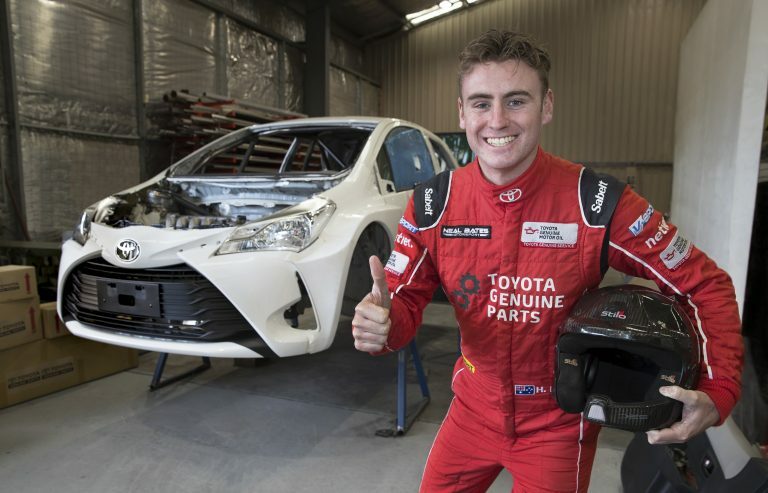 EMERGING star Harry Bates will arm himself with a new international-specification Toyota Yaris AP4 car in a quest to walk away from Kennards Hire Rally Australia in November as the 2017 – and youngest – Australian Rally Champion. The 224 kiloWatt, all-wheel drive Yaris is being built in Canberra at Neal Bates Motorsport, the workshop of his four-time champion father, and the 22-year-old says it will be faster than anything he’s raced before. Harry, who leads the five-round national series by just three points from defending champion Molly Taylor, is expected to debut the Yaris in South Australia in September before tackling the final round at Rally Australia on the NSW Coffs Coast on 16-19 November. The Bates Yaris is the same production-based model, but of a less powerful specification, as the official Toyota Gazoo Racing World Rally cars that will be driven in the FIA World Rally Championship round at Rally Australia by Jari-Matti Latvala, Juho Hänninen and Esapekka Lappi. While Bates’ focus will be the Australian Rally Championship, his car’s specification means it will be eligible also to enter the WRC round at Coffs alongside the Finnish-based factory cars. 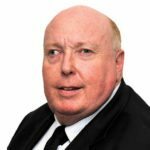 Event Clerk of Course Wayne Kenny says he hopes Bates and other Australian drivers with eligible cars will take the opportunity to challenge themselves against the world’s best in the WRC section of the event. “This is a fantastic opportunity for Australian drivers to have the full experience of contesting a World Rally Championship event in their own backyard and to show how fast they are,” Mr Kenny said. Bates says he expects the Yaris AP4 to be faster than the 10-year-old Toyota Corolla S2000 he has used until now. “Even so, I have a steep learning curve with the new car, so I’m not expecting to jump in and be up to speed right off the bat,” he said. “However, by Rally Australia in November, I’d expect to be in a good position to fight for the championship in the new car. Neal Bates describes the Yaris project, the latest in a long series of rally cars he has built, as a “labour of love – and stress”. “The Yaris will be a very exciting car. I think Harry has done exceptionally well in the S2000, which is a 10-year-old car. The Yaris will be at a higher level; it bodes very well for the future,” he said. Toyota Australia has marked the make’s return to the WRC this year by signing on as a leading sponsor of Kennards Hire Rally Australia.